Kids love stories. From the time they are in the womb, they are listening to the world around them, learning all it has to offer. Most children, when offered a book, will at the very least show interest in it, unless they are taught not to. There is great benefit to have kids reading books early on, the most important being that kids who are taught to read at a young age are generally smarter than their counterparts. According to an article in Psychology Today, fourty-three percent of children are not ready when they enter school. Their peers, who received early literacy education, hold a 32-million-word advantage over them. Yes, 32 million words. What Can You Do To Teach Your Child To Read? Start before they are even born: The most effective way to instill a love of reading on your child is to start reading to them even when they are in the womb. They will key into your voice and it will soothe them. They'll learn to connect reading with love. Read to them at bedtime: Turn reading into a bedtime ritual. No matter their age, sit and read to them for ten, fifteen, even twenty minutes. 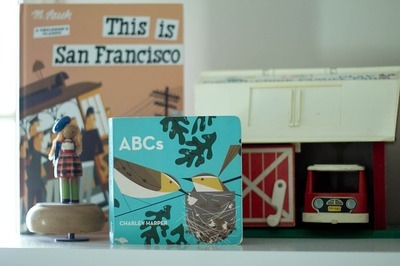 For slightly older children who can understand the stories, offer them a small selection of three or four books to choose from so they feel like they're a part of the story from the beginning. Tell them stories in the car: You don't need a book handy to continue their reading education. Tell them stories or listen to audiobooks instead of music in the car. Let them experience the joy of oral storytelling as well as written storytelling. Find the right books: Not all children like the same books. Does your child claim to hate reading? In all likelihood, they just haven't found the right book yet. Figure out their likes and dislikes and find them books that will fit into their interests. Do they like sports? Princesses? Animals? There are millions of books out there that will fit any reading interest. Always have books available: Treat books like toys. Always have them available for your child to pick up. Even if they can't understand the words yet, toddlers will often pick up a book and tell themselves a story through the pictures. The more your child is exposed to books, the more likely it is they will pick up reading quickly and easily. Group reading classes: Group reading classes happen at almost every library. Connecting with other readers their age and possibly even meeting the 'stars' of their favorite books can go a long way to make children love reading. Be an example: Children learn from their parents. If you want a child to be a reader, you need to be a reader, too. They will learn to love books like you do and will happily share your passion. As Dr. Seuss once said, "The more that you read, the more things you will know. The more that you learn, the more places you'll go."